Drivers Unlimited specializes in providing executive limousine services to the New Canaan area. Our clients range from business executives to leisure travelers looking for the highest in quality, customer service and dependability. Serving lower Fairfield county, including New Canaan, you can see for yourself why our long list of loyal clients continue to ride with us. Our team is committed to providing you with a hassle free and pleasant experience every time you travel. Wherever you are headed, our professional team of dispatcher and chauffeurs can provide you with the perfect ride. Our fleet of well-maintained, newer model vehicles offers you a comfortable and dependable ride to your destination. Are you scheduled to arrive at a NYC airport? Let our chauffeur meet you at the airport’s Baggage Claim. Just look for our signature “Red Hat Service.” And if you’re headed to the airport or a client meeting in the city we can meet you at your home or the office. We have been providing Limousine Service in New Canaan since 1980, offering professional car service to and from the greater NYC airports such as: JFK, LaGuardia, Newark, Westchester and Bradley. So please contact our friendly staff for assistance next time you need a ride. Our Limousine Service is the most economical, dependable and comfortable way to travel. 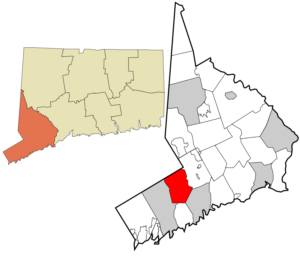 New Canaan is an affluent town in Fairfield County, Connecticut, 48 miles (77 km) northeast of New York City. 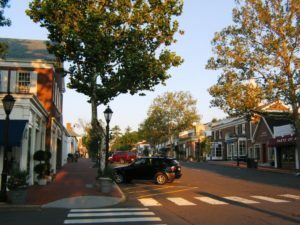 Considered part of Connecticut’s Gold Coast, New Canaan is known for its public school system, its wide range of architecture from the Harvard Five modern homes to historic New England colonials and farmhouses, as well as a signature town center with premiere shopping, classic boutiques, and an elaborate display of lights for the Holidays. Residents carol on Church Hill every Christmas Eve, a town tradition since 1916. Until the Revolutionary War, New Canaan was primarily an agricultural community. After the war, New Canaan’s major industry was shoe making. As New Canaan’s shoe business gathered momentum early in the nineteenth century, instead of a central village, regional settlements of clustered houses, mill, and school developed into distinct district centers. Some of the districts were centered on Ponus Ridge, West Road, Oenoke Ridge, Smith Ridge, Talmadge Hill and Silvermine, a pattern which the village gradually outgrew. With the 1868 advent of the railroad to New Canaan, many of New York City’s wealthy residents discovered the quiet, pastoral beauty of the area and built magnificent summer homes. Eventually, many of the summer visitors settled year-round, commuting to their jobs in New York City and creating the genteel, sophisticated country ambiance that continues to characterize the community today.